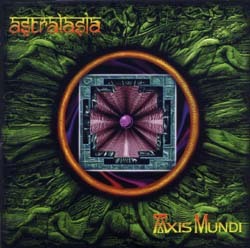 I'll never forget the first time I saw Astralasia play the opening track "Mystical Belief" live. It was at Whirl Y Gig and the combination of the sound, the lights, the band and the crowd combined to produce an incredible slow building, uplifting and dramatic effect. A great opener to a live show and to this album which showcased a new peak for Astralasia with tracks such as "Mother Durga", "Khalahari" and "Guruuve". It also featured one of the best cover artworks designed by excellent artist and band friend - Finn.